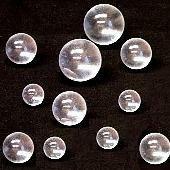 Clear Solid Acrylic Sphere ( Acrylic Ball ) 1-1/4" Diameter. Price Each. 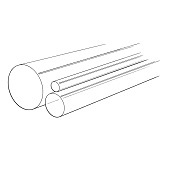 Clear Solid Acrylic Sphere ( Acrylic Ball ) 1-1/2" Diameter. Price Each. Clear Solid Acrylic Sphere ( Acrylic Ball ) 2" Diameter. Price Each. Clear solid Acrylic Sphere ( Acrylic Ball ) 1/8" Diameter. 1000 pcs per bag. Price Per Bag. 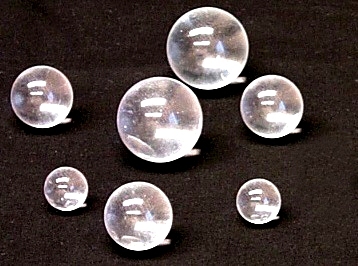 Clear Solid Acrylic Sphere ( Acrylic Ball ) 1/4" Diameter. Price Each. Clear Solid Acrylic Sphere ( Acrylic Ball ) 3/8" Diameter. Price Each. Clear Solid Acrylic Sphere ( Acrylic Ball ) 1/2" Diameter. Price Each. Clear Solid Acrylic Sphere ( Acrylic Ball ) 5/8" Diameter. Price Each. Clear solid Acrylic Sphere ( Acrylic Ball ) 3/4" Diameter. Price Each. Clear Solid Acrylic Sphere ( Acrylic Ball ) 7/8" Diameter. Price Each.